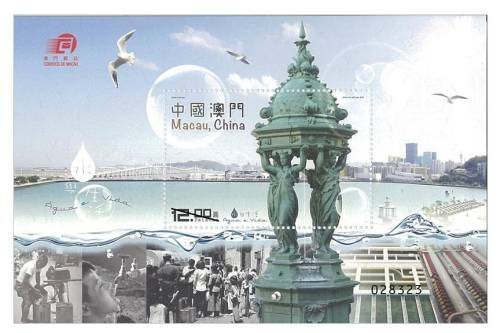 Macao, surrounded by sea on three sides, severely lacks natural water resources. With economic development and the territory’s great growth in population water consumption climbs yearly, while the threat of the salt tides never quite subsides. 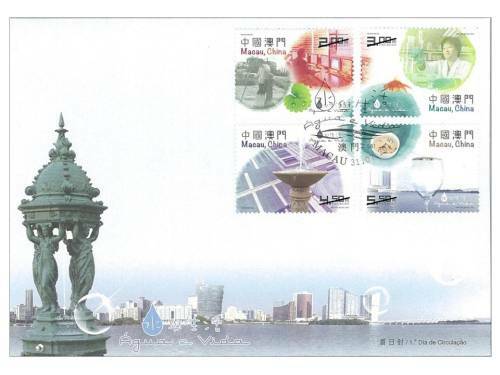 Water is very significant for the sustainable development of Macao society. 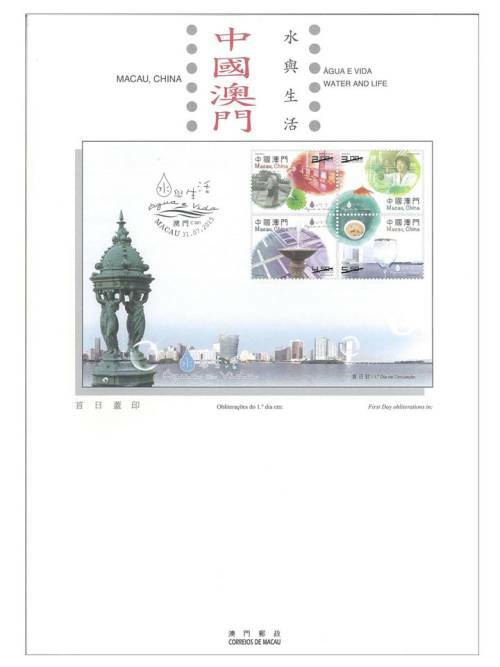 In order to avoid the crisis of a water shortage, all Macao residents living in this land should contribute their effort. 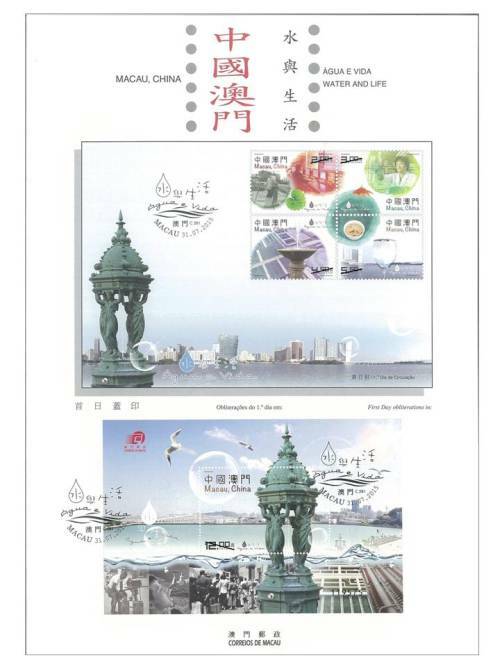 Macao Post will issue the stamp theme “Water and Life” on 31st July, 2015, this issue includes a set of four stamps and one souvenir sheet. 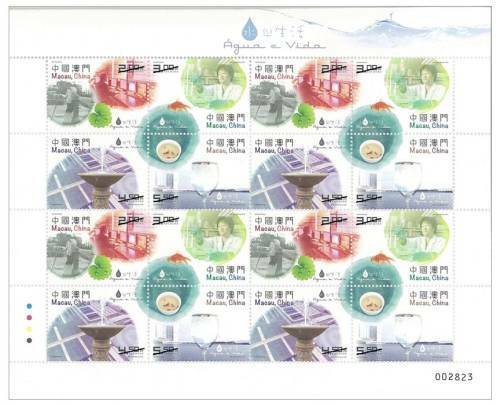 Through this set of stamps, let’s share our memory of water, raise our concern to treasure it much more, and continue our determination to protect our water resources as well as conserve this precious gift. Let’s join in wishing that the green hills never turn bare and that water flows forever. 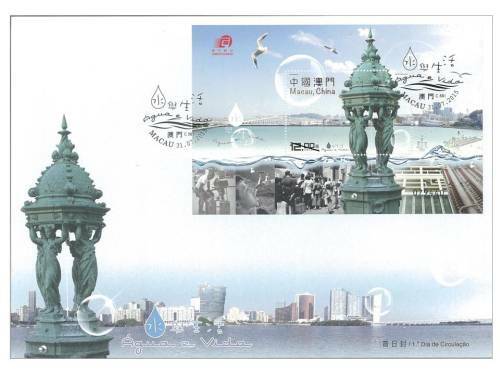 The stamp designer for this issue is Mr. Ng Wai Kin, and the text for the information brochure is written by the Macao Water Supply Co. Ltd., Mr. Leo Zhang. 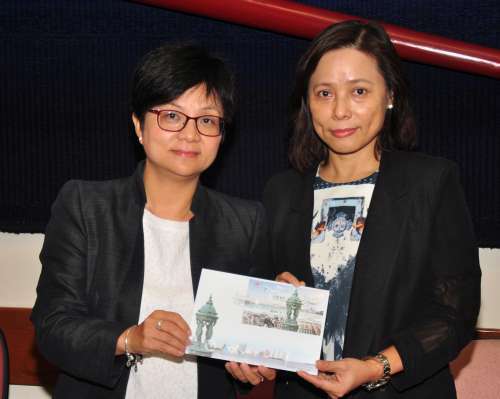 This is the eleventh issue in 2015. 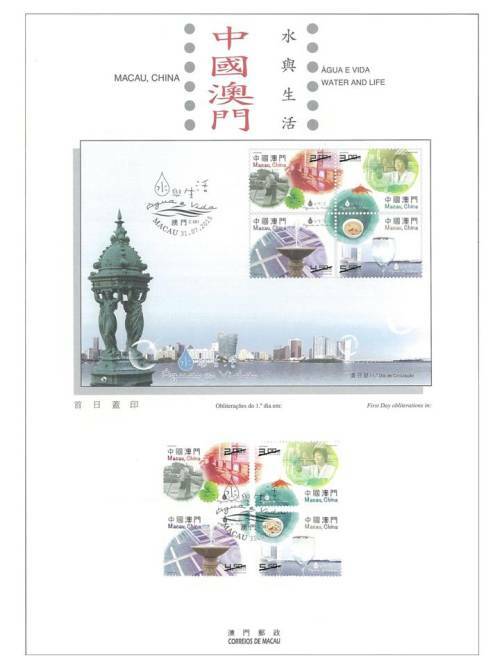 The previous issued stamps are “Lunar Year of the Goat” on 05/01/2015, the label stamp “Lunar Year of the Goat” on 28/01/2015, “110th Anniversary of Rotary International” on 16/02/2015, “Mainland Scenery VI” on 01/03/2015, “25 Years of AICEP” on 27/04/2015, “Macao Wetlands” on 05/05/2015, “110th Anniversary of the Birth of Xian Xinghai” on 13/06/2015, the label stamp “Old Streets and Alleys” on 30/06/2015, “150th Anniversary of Guia Lighthouse” on 08/07/2015 and “10th Anniversary of the Historic Centre of Macao as World Heritage” on 15/07/2015. 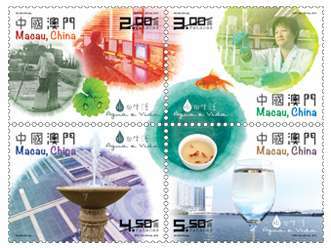 Technical Data of Stamp "WATER AND LIFE"